Have I mentioned recently how much I love FNSI? 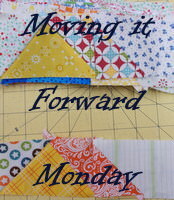 Wendy at Sugarlane Designs hosts this wonderful sew-along every month. It is so much fun to catch up with my international friends each month to see what they're working on. So many beautiful projects. So much inspiration! Thank you, Wendy, for this wonderful opportunity! So what did I work on this month? My Clam Shells by Irene Blanck! Here's my picture today. See that red shell with the cute little sheep on it, 5th row, 2nd from the right? That's where I started my FNSI. Those shells needed to be appliqued down and I went straight to it. 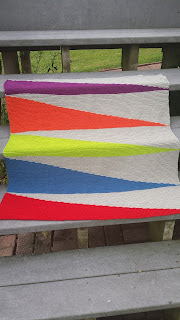 Since you sew from right to left, I finished that row and then the entire next row above! So happy with the progress! Actually so happy that I finished all the way to the top on Saturday! Next step: Figure out what to do with the borders. I'm thinking about putting a touch of applique on the borders. What do you think? I'm having a bit of trouble figuring out what to use for the borders themselves, but I'll figure it out ... eventually! 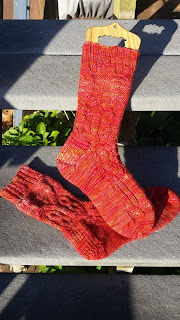 Also recently finished were my Anthology Socks by Very Busy Monkey over on Ravelry. They turned out beautifully. The yarn is Pagewood Farms and the color is Fabulous Fall. I'm ready for some cooler weather so I can wear these fabulous socks! One other little thing I managed. 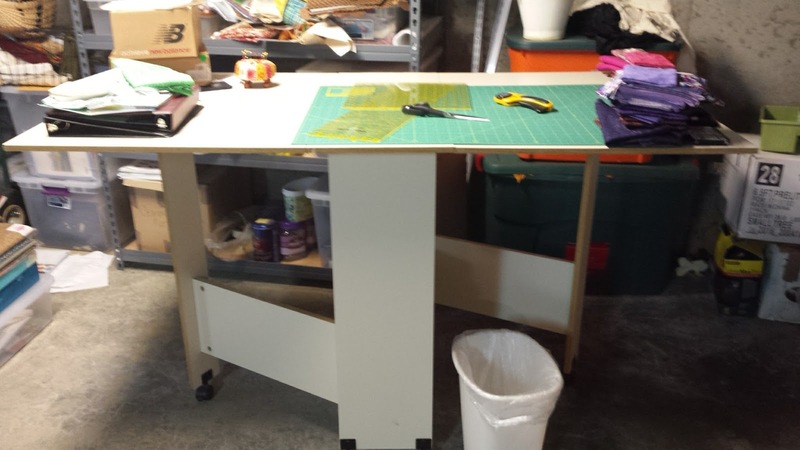 Here's the before picture of my cutting table. UGH! Look! You can see the mat again! I put all the fabrics away by color and have discovered I need three more bins. One for purple, one for pink, and one for black.I also discovered that I shouldn't ever, ever, EVER have to buy neutrals again! 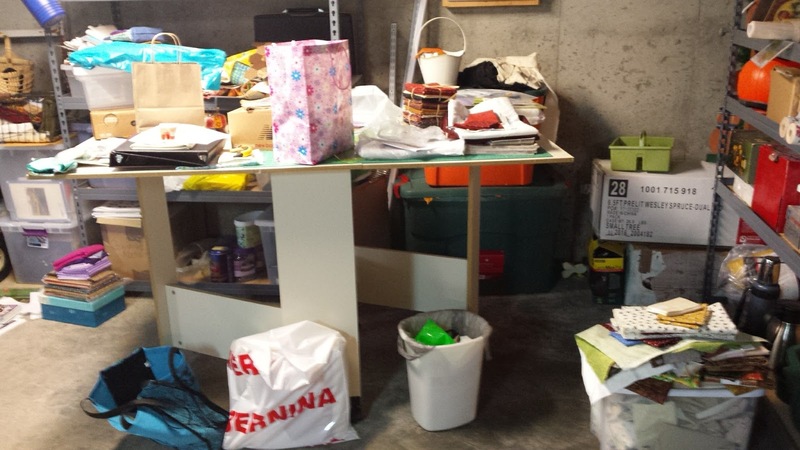 That bin is on "overload"! Anyway, I sure do hate putting away all my "FUN" but it's a necessary evil to allow the inspiration to come through! Haha! That's what's new here. Now to go raid the stash and figure out borders for my Clam Shells! Knitting Has Been Taking Up My Time! Here we are again signing up for FNSI and it occurred to me that I hadn't posted lately. This is actually a good way for me to line up what I plan to work on this week and especially for Friday Night Sew-In. If you'd like to join us, sign-ups are HERE! It's so fun to see what everyone is working on and we come from all over the globe! 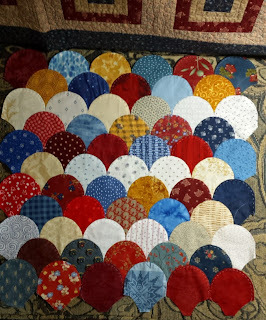 I plan on working on my Clam Shells, pattern by Irene Blanck. It's time to make a little more progress on it. In the meantime, I did manage to put a few stitches on my Mosaics (pattern by Irene also). 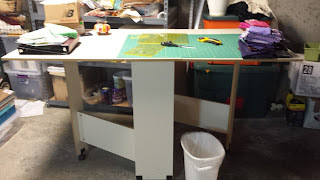 After returning from our lengthy vacation last month, I was really wanting to play with my sewing machine. 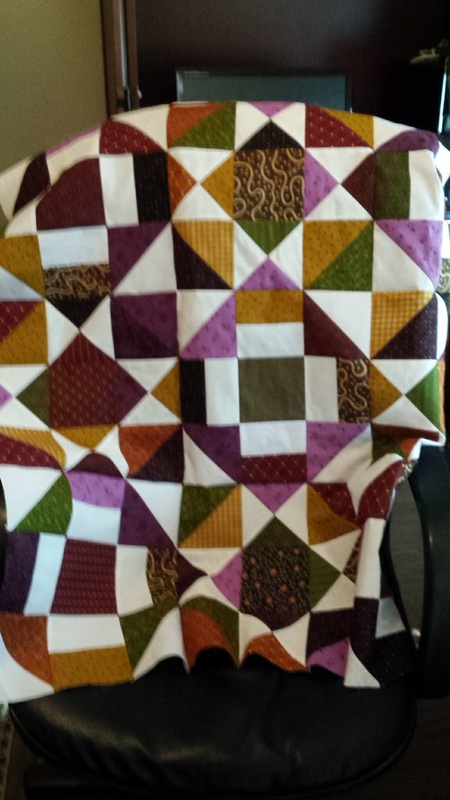 I made some good progress on my Scrap Dance Two-Steps quilt top. I've got the entire top webbed and half of that is sewn together. Check it out over there on the right! There is a little piecing for the border and, of course, the borders will have to go on. Then I can declare it a finish! Speaking of finishes, I did finish my Baby Pennant Blanket. 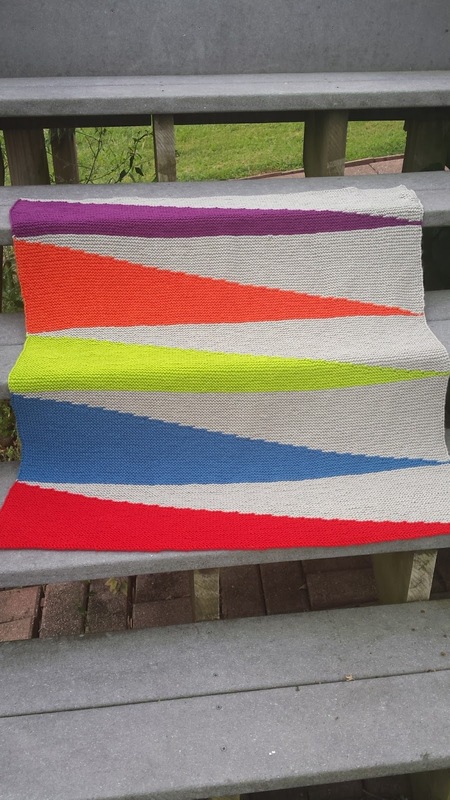 What a fun knit and so easy! After I was more than halfway through, I was kicking myself for not trying to knit it continental style. I have yet to master that technique, which is supposed to be easier on the hands. 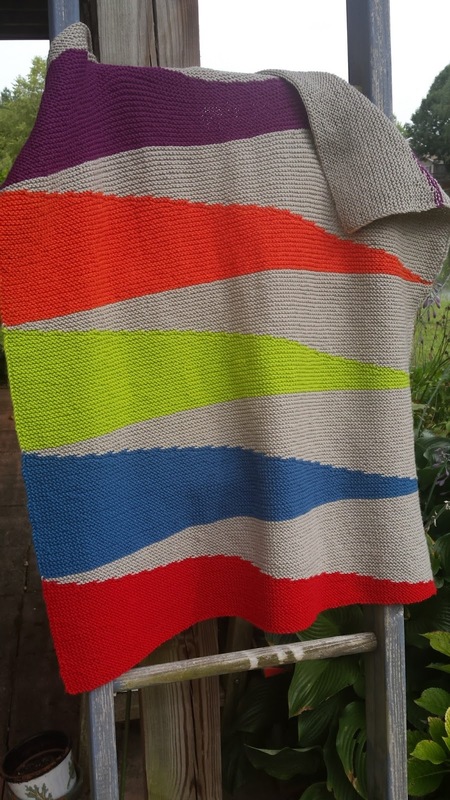 This would be the perfect project to attempt continental knitting because it's all knit, no purl or anything fancy. Only short row knitting. Also finished was this little knitted pumpkin hat. Daughter Sarah has a couple of friends that had babies recently. What first born doesn't need a special hat for October? One done, one in the works. 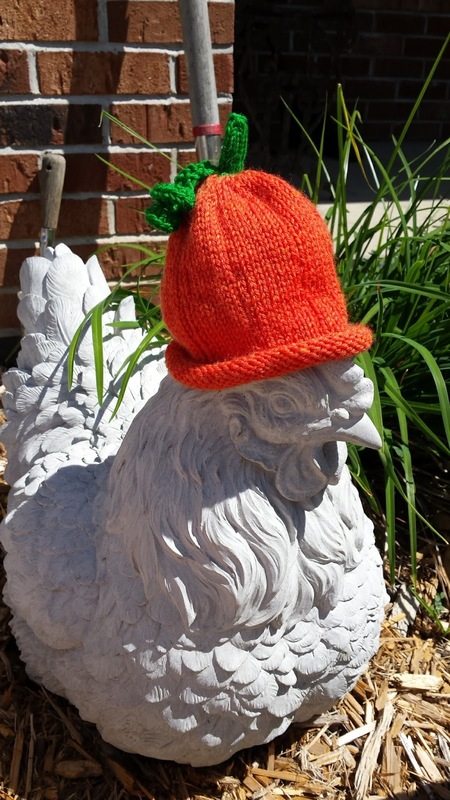 Doesn't it look adorable on Henny Penny? When my brother returned from Colorado earlier this summer, he brought a gift from my sister. This planter is special because it has a tube that sticks out of it for watering from the roots up. 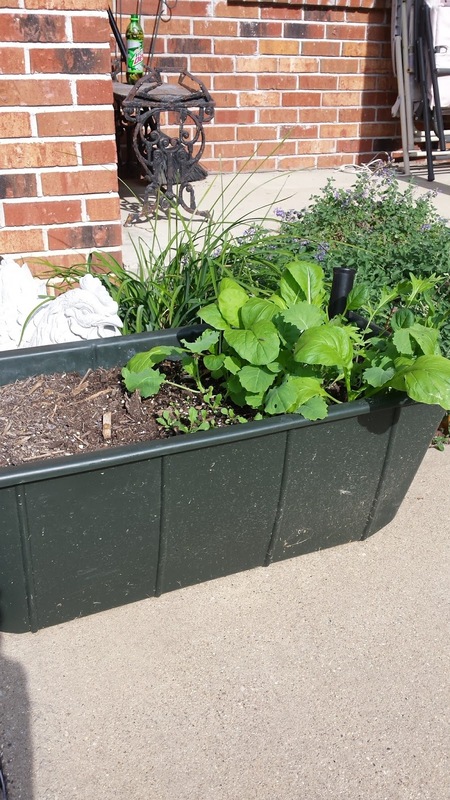 It also has a "false bed" for the soil to sit on. Anyway when my sister asked me if I wanted it I said, "Sure!" 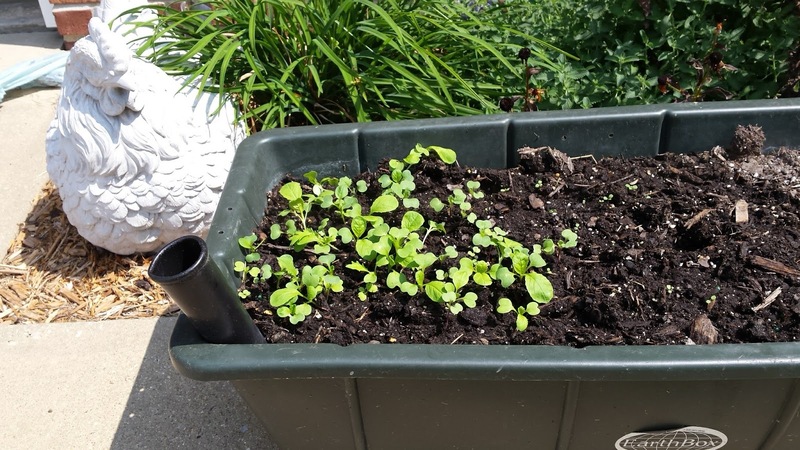 Here are pictures of my Fall lettuce taken September 1 and September 11. What a difference! We've already harvested some but I expect it will really take off now that the cooler weather has arrived and I've thinned them out some. 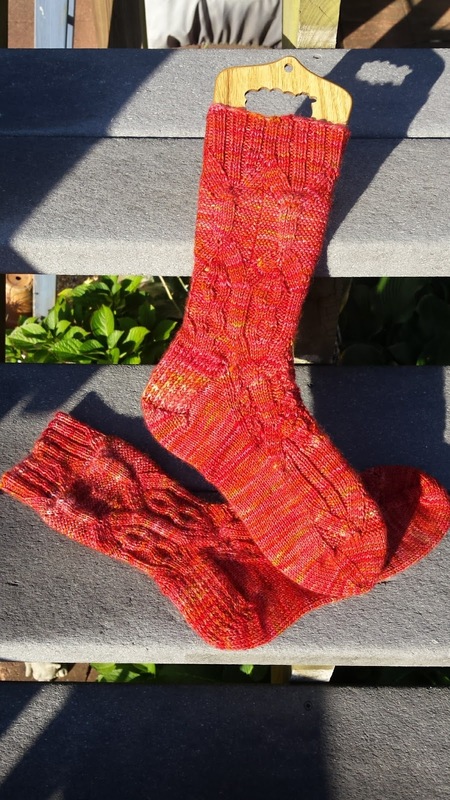 My Anthology Socks by Very Busy Monkey are almost done. This was the last picture I took of them after I'd turned the heel. 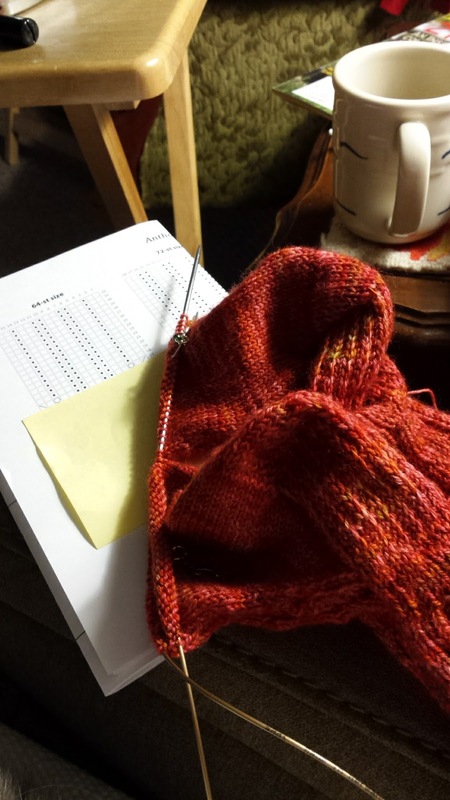 I am currently shaping the toes and then the final blocking. This has been VERY fun. You can find the pattern HERE on Ravelry. There's also a matching shawl that can be knit in two sizes if you do a search on the Ravelry website. That's it from here. Have a great week and I'll catch you up this weekend on the progress of my projects!